SOMERSET, N.J.--(BUSINESS WIRE)--Light affects us from the moment we wake up, to the moment we go to bed. It is often something we take for granted, but it helps shape our everyday experiences. 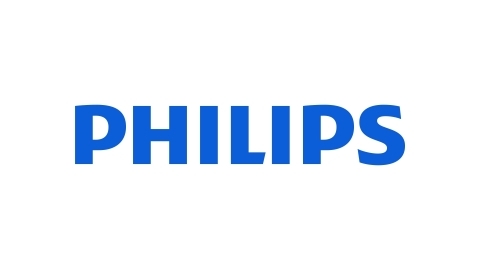 To help simplify and enhance home life, Philips Lighting (Euronext Amsterdam ticker: LIGHT), a global leader in lighting, is extending the Philips Hue connected lighting family of products available to US consumers. The new range of Philips Hue White Ambiance fixtures and table lamps and the Philips Hue White Ambiance candle bulb provide the perfect shade of white light for any moment, so you can feel your best throughout your day and in any room of your home. The range of Philips Hue White Ambiance fixtures and table lamps are designed to give you the white light needed to help you wake up and energize, concentrate, read, relax and go to sleep naturally. With a timeless and elegant style, they can be placed anywhere in your home. Enjoy decorating your kitchen, dining room or bedrooms with the brushed aluminum Philips Hue White Ambiance Being Flushmount or three different styles of the Philips Hue White Ambiance Fair fixture (Flushmount, Semi-flushmount and Suspension). The products have the Philips Hue White Ambiance connected lighting technology built-in and feature powerful light output (up to 3000 lumens). The Philips Hue White Ambiance Wellner and Wellness table lamps are smartly designed to fit with any interior. They come with a Philips Hue White Ambiance A19 light bulb (800 lumens) for customizable white light to support your daily activities. On top of the range of Philips Hue White Ambiance fixtures and table lamps, the new Philips Hue White Ambiance candle bulb allows you to further extend the connected lighting experience throughout your home. The candle bulb features the smaller E12 base, perfect for your ceiling fan, chandelier or decorative table lamps. The 40W-equivalent candle bulb has 450 lumens; it joins the current Philips Hue White Ambiance range, which also includes the traditional A19 bulb, GU10 spot light and BR30 downlight. All Philips Hue products can be controlled via your smartphone or tablet with the Philips Hue app, the Philips Hue wireless dimmer switch, the Philips Hue motion sensor and your wearables. You can also control them with your voice; simply ask your favorite service or device to turn your lights on or off, set your desired white light scene and much more. In addition, you can remotely control your lights wherever you are, and set timers, notifications and alarms for the full Philips Hue experience. It's all about simplifying your home life in smart and useful ways. The Philips Hue White Ambiance Being Flushmount and Wellner and Wellness table lamps are now available for pre-order, while quantities last. Starting at $99.99, the full range will be in store and online beginning mid-June 2017. The Philips Hue White Ambiance candle bulb is $29.99 and will be available for pre-order in June 2017 and in store and online in July 2017. Delivering the best lighting experience for the home is at the heart of Philips Hue, and key to this is it being interoperable with more than 600 apps, products and platforms from other brands and developers. Philips Hue works seamlessly with Amazon Alexa, Apple HomeKit, Google Home, Nest, Samsung SmartThings as well as other smart home devices and wearables, to transform how you experience and interact with light in your home. For more information on Philips Hue and where you can buy the connected lighting products, visit www.meethue.com. 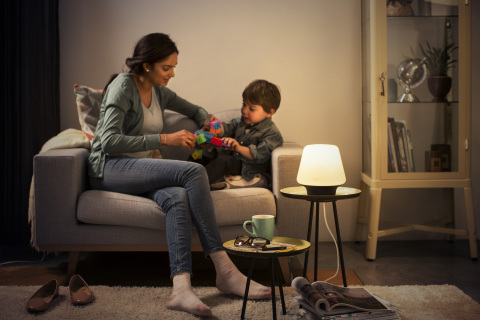 The range of Philips Hue White Ambiance fixtures and table lamps are designed to give you the white light needed to help you wake up and energize, concentrate, read, relax and go to sleep naturally.